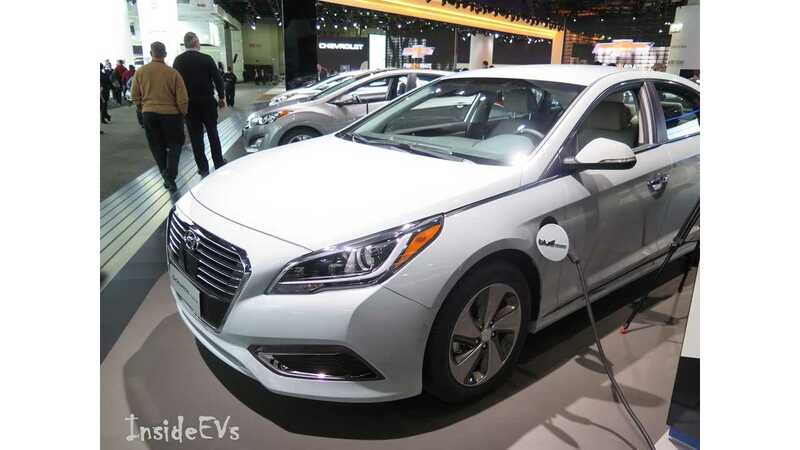 One of the biggest plug-in hybrid debuts at the 2015 NAIAS was the world debut of the Hyundai Sonata PHEV. "A 9.8 kWh lithium polymer battery pack, roughly five times larger than the Sonata Hybrid’s battery, is expected to give Sonata Plug-in Hybrid an all-electric range of up to 22 miles, farther than any other midsize PHEV sedan." So, class-leading electric-only range then. 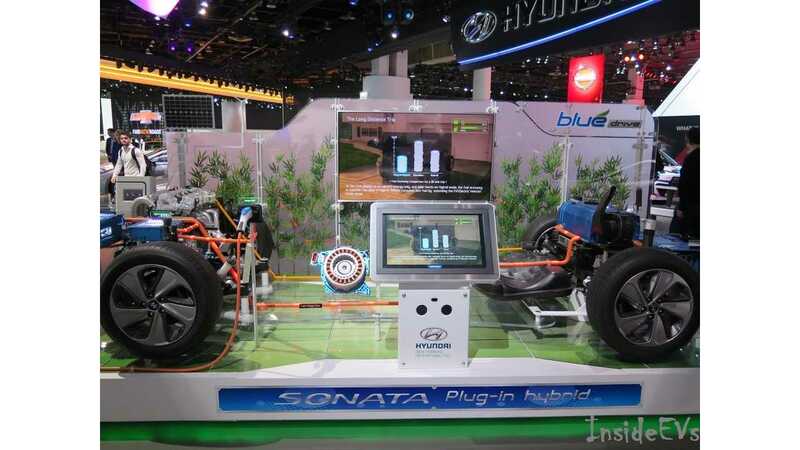 "Hyundai launched its first plug-in hybrid vehicle today at the North American International Auto Show in Detroit. 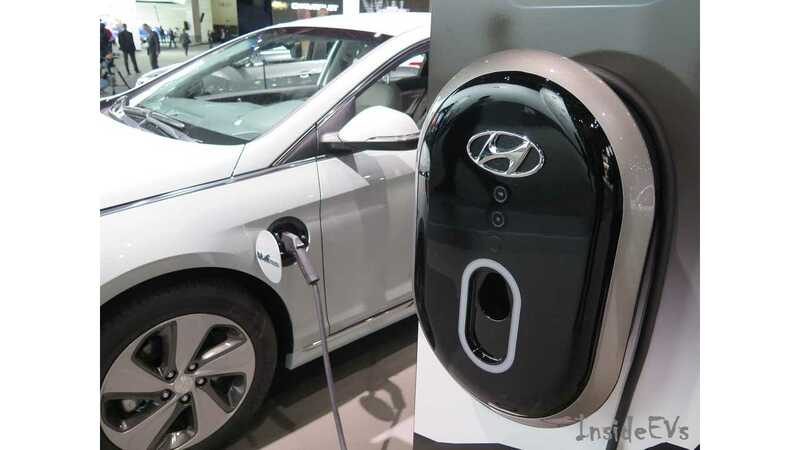 The 2016 Hyundai Sonata Plug-in Hybrid Electric Vehicle (PHEV) is expected to travel up to 22 miles on electric power and can recharge in as little as two and a half hours with a Level 2 charger. 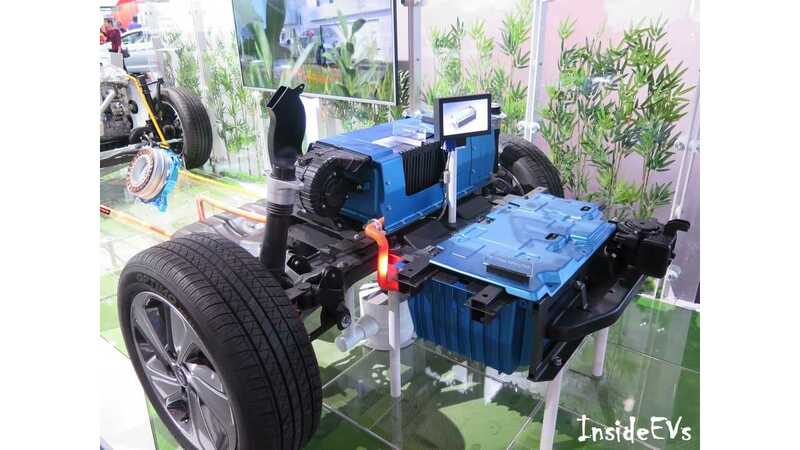 Sonata Plug-in Hybrid will be built at the Asan, South Korea plant and will go on sale in select markets later this year." Arriving in 2015! Althouhg Hyundai seems to be looking at limited availability only for now, it seems. "The Sonata Plug-in Hybrid will be available in California, Connecticut, Maine, Maryland, Massachusetts, New Jersey, New York, Oregon, Rhode Island and Vermont in 2015. Sonata PHEV buyers will be eligible for a $2,500 fixed federal tax credit and a variable federal tax credit based on battery capacity that will also be over $2,000. These tax credits reduce the amount of federal tax the purchaser is liable for, making them much more valuable than tax deductions. Local incentives may also be available, for example, the clean vehicle rebate in California is an additional $1,500 and Sonata Plug-in Hybrid is eligible for California’s Green Clean Air Vehicle Decals that allow access to the HOV lanes. 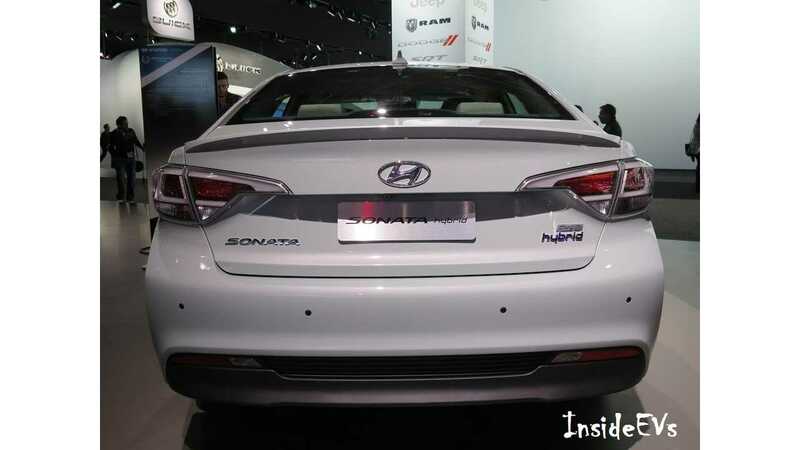 Pricing will be announced before the Sonata Plug-in Hybrid goes on sale late this year." As for the complicated tax jargon, of which Hyundai nor any other trade magazine seems to want to do the math on, we aren't afraid. The Sonata PHEV has a 9.8ish kWh battery, it therefore it will qualify for a federal credit approximately of $4,917. Was that so hard? 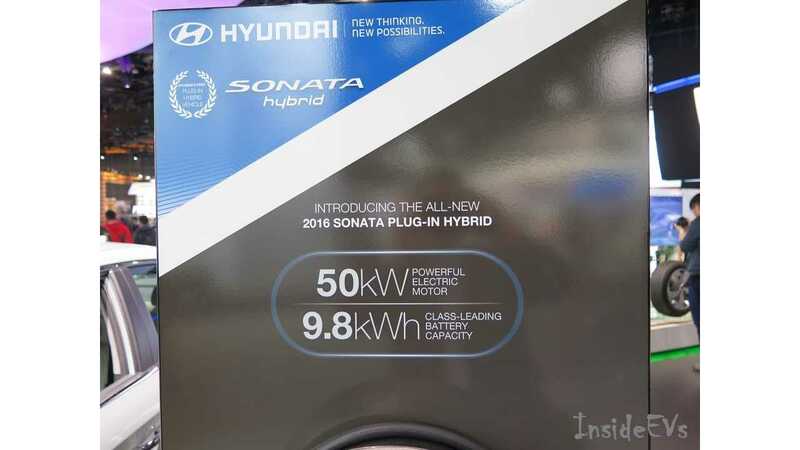 "Sonata Plug-in Hybrid uses a six-speed automatic transmission with Hyundai’s Transmission-Mounted Electrical Device (TMED), a 50 kW electric motor, in place of a torque converter. 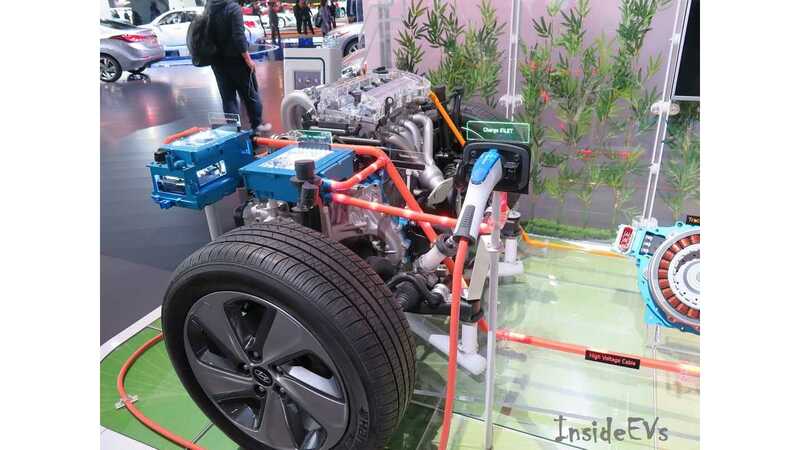 The 50 kW electric motor is 32 percent more powerful than the motor used the in regular Sonata Hybrid and allows EV operation at higher speeds. A 2.0-liter Nu four-cylinder GDI engine coupled with the electric motor allows the Sonata Plug-in Hybrid to operate just like the Sonata Hybrid once the onboard battery charge is depleted. Sonata PHEV’s Nu engine produces 154 horsepower and 140 lb. ft. of torque and the total system output is 202 horsepower at 6,000 rpm." DETROIT, Jan. 12, 2015 – Hyundai launched its first plug-in hybrid vehicle today at the North American International Auto Show in Detroit. 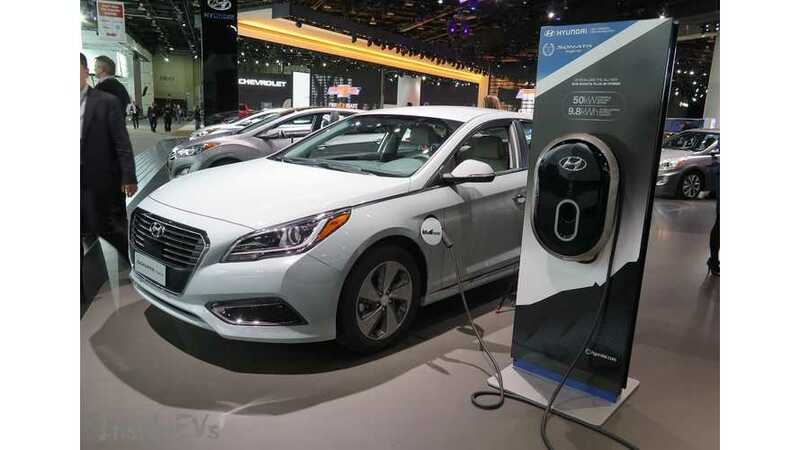 The 2016 Hyundai Sonata Plug-in Hybrid Electric Vehicle (PHEV) is expected to travel up to 22 miles on electric power and can recharge in as little as two and a half hours with a Level 2 charger. Sonata Plug-in Hybrid will be built at the Asan, South Korea plant and will go on sale in select markets later this year. Although the Sonata Plug-in Hybrid is very technologically advanced, it will behave much like the regular Sonata Hybrid from the driver’s seat. A 9.8 kWh lithium polymer battery pack, roughly five times larger than the Sonata Hybrid’s battery, is expected to give Sonata Plug-in Hybrid an all-electric range of up to 22 miles, farther than any other midsize PHEV sedan. 2016 Sonata Plug-in Hybrid comes standard with seven airbags, including a new driver’s knee airbag. Electronic Stability Control, Vehicle Stability Management, Traction Control, ABS and a Tire Pressure Monitoring System with individual tire pressure display, and a rearview camera are also standard. Projector headlamps are standard while HID headlamps are available. Hyundai engineers implemented many active safety technologies for the 2016 Sonata Plug-in Hybrid to assist drivers and help prevent accidents. No longer reserved for luxury cars, advanced safety technologies such as Forward Collision Warning and Lane Departure Warning are also available in this midsize sedan. Sonata Plug-in Hybrid’s standard advanced Blind Spot Detection system is designed to alert drivers of an approaching vehicle in the next lane if the turn signal is activated. This Lane Change Assist technology is a segment-exclusive active safety feature. Drivers are first alerted of a vehicle in the blind spot by warning lights in the side mirrors. When the turn signal is activated, the Lane Change Assist system determines the closing speed of any vehicle in the adjacent lane to determine if the lane change is safe. If the system determines the vehicle in the other lane is closing too quickly, it sounds an audible alarm to warn the driver that the lane change is unsafe. The Lane Departure Warning System uses a forward-facing camera to recognize lane markers. If the system detects the vehicle is headed outside the lane markers, a warning light on the dashboard illuminates and an audible sound alerts the driver. Rear Cross-traffic Alert (RCTA) is another feature derived from the 2016 Sonata Plug-in Hybrid’s advanced Blind Spot Detection system. RCTA scans the areas to each side of the vehicle when drivers are backing out of parking spaces. If the system detects another vehicle is approaching from the side, the Sonata driver is given an audible alert. 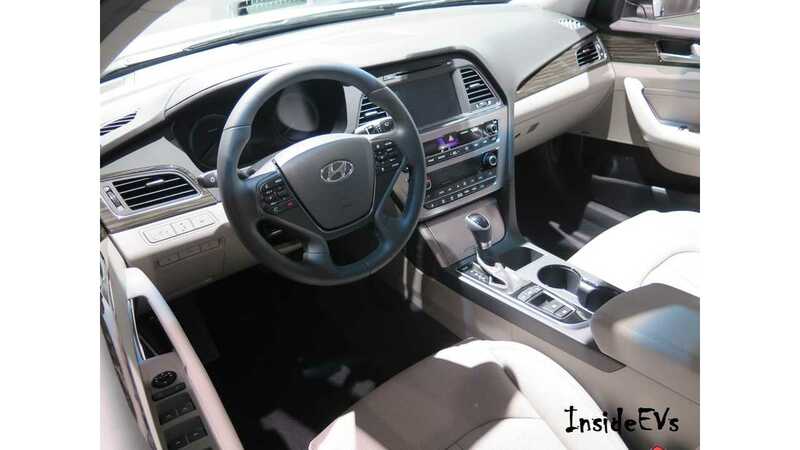 This system is another tool that helps Sonata drivers utilize the active safety technology. The 2016 Sonata Plug-in Hybrid delivers the convenient technology one would expect in a luxury vehicle in an incredibly efficient mid-size hybrid sedan. Hyundai’s hands-free Smart Trunk is standard on the Sonata Plug-in Hybrid. 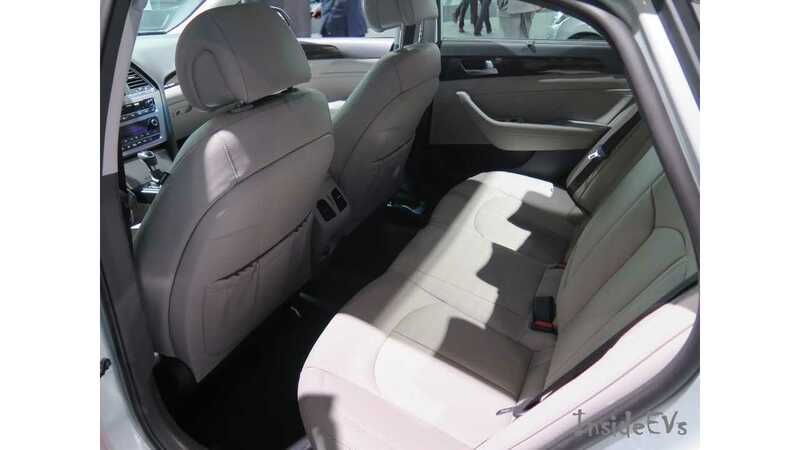 An electronic parking brake with automatic vehicle hold, a driver memory seat, heated steering wheel, LED interior lights, ventilated front seats, power front seats with 4-way adjustable driver lumbar and Smart Cruise Control featuring full stop capability are all available on Sonata Plug-in Hybrid. All 2016 Sonata Plug-in Hybrids come standard with iPod®/USB and auxiliary input jacks, SiriusXM® satellite radio and Bluetooth® phone connectivity with phonebook transfer and voice-recognition. Available upgrades include an 8.0-inch navigation system with downloadable apps, HD radio and Infinity premium audio system with next-generation Blue Link® telematics. Hyundai’s 8.0-inch navigation system offers an enhanced display with improved touch sensitivity, a map and music split screen display and the ability to record SiriusXM presets 1-6. Switching to a preset station in the middle of your favorite song won’t be an annoyance any longer. Rewind up to 22 minutes to listen to the full song or catch up on a sports broadcast. SiriusXM Travel Link® provides access to traffic information, sports scores, weather, stock prices, fuel prices and local movie times. All 2016 Sonata Hybrids equipped with navigation will also support Pandora® and SoundHound applications as well as “Eyes Free” Siri integration, which allows drivers to perform a variety of functions without taking their eyes off the road. Apple CarPlay and Google Android Auto will take smartphone integration to the next level on the Sonata Plug-in Hybrid later this year. The Sonata Plug-in Hybrid will be available in California, Connecticut, Maine, Maryland, Massachusetts, New Jersey, New York, Oregon, Rhode Island and Vermont in 2015. Sonata PHEV buyers will be eligible for a $2,500 fixed federal tax credit and a variable federal tax credit based on battery capacity that will also be over $2,000. These tax credits reduce the amount of federal tax the purchaser is liable for, making them much more valuable than tax deductions. Local incentives may also be available, for example, the clean vehicle rebate in California is an additional $1,500 and Sonata Plug-in Hybrid is eligible for California’s Green Clean Air Vehicle Decals that allow access to the HOV lanes. Pricing will be announced before the Sonata Plug-in Hybrid goes on sale late this year.